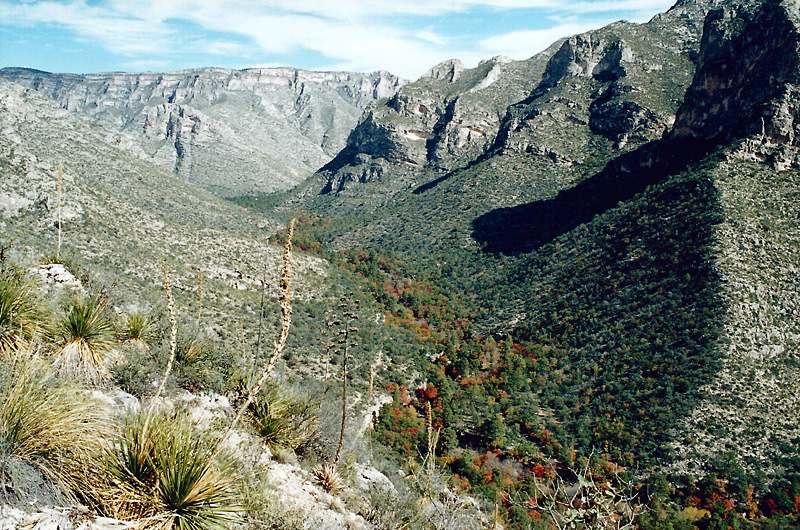 A moderately difficult dayhike will take you up to McKittrick Ridge for an excellent view into McKittrick Canyon. 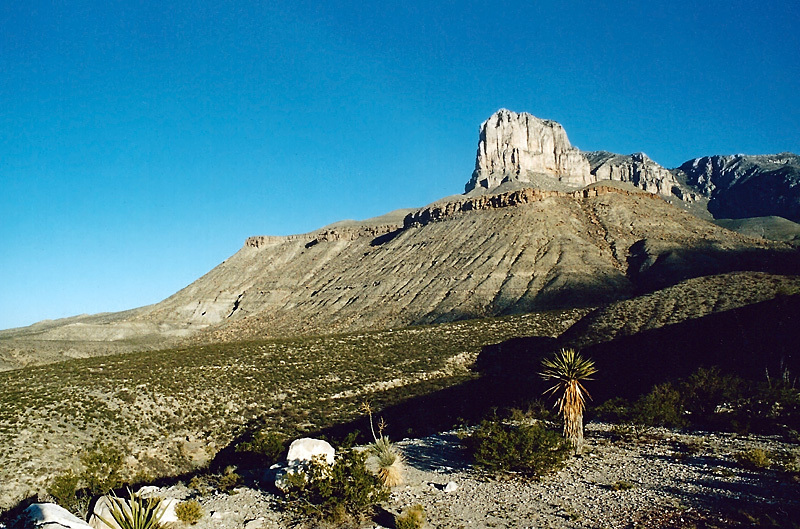 This view of El Capitan was taken from near the top of Guadalupe Peak, the highest point in Texas. 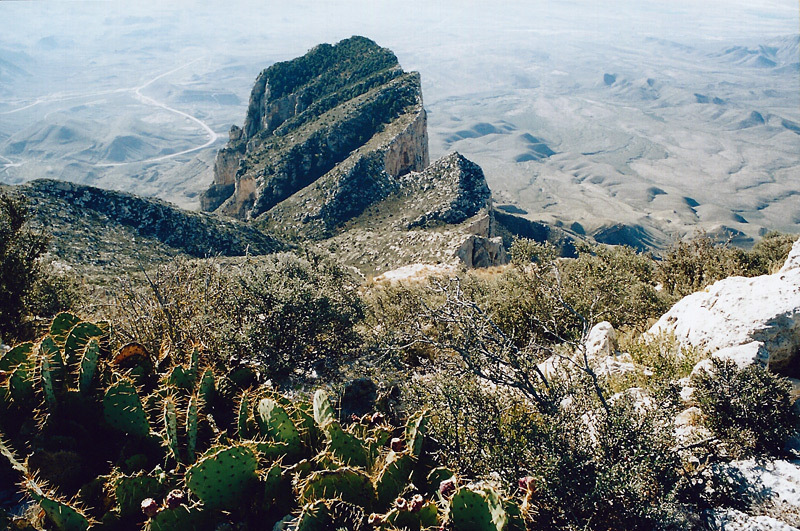 Getting there requires climbing 3000 feet in 4.2 miles (one way). Approaching the park from El Paso, this morning view of El Capitan was taken from a picnic area on the side of the road. A short hike through scenery like this will take you to Smith Spring, a beautiful oasis lined with maple trees and a bubbling brook. 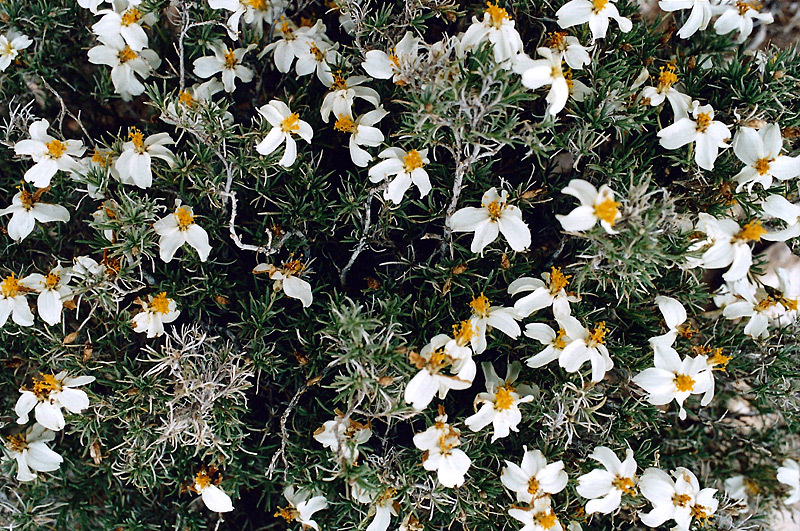 These flowers were blooming near Smith Spring. 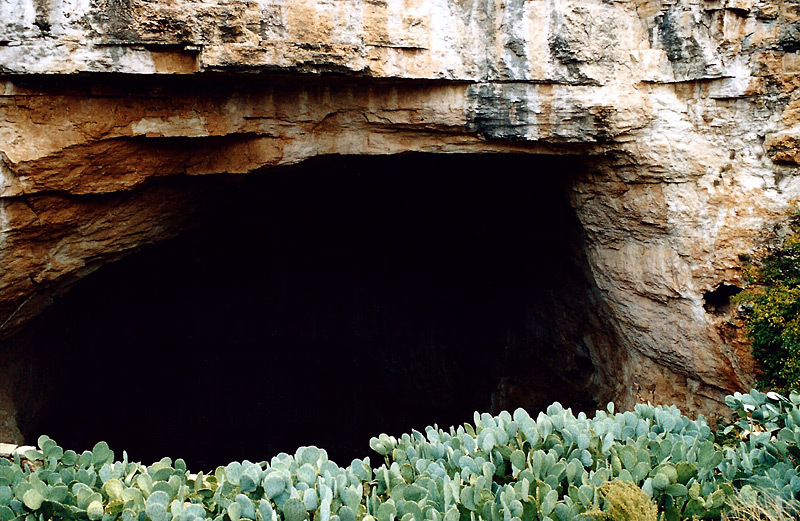 Carlsbad Caverns National Park is just an hours drive up the road. 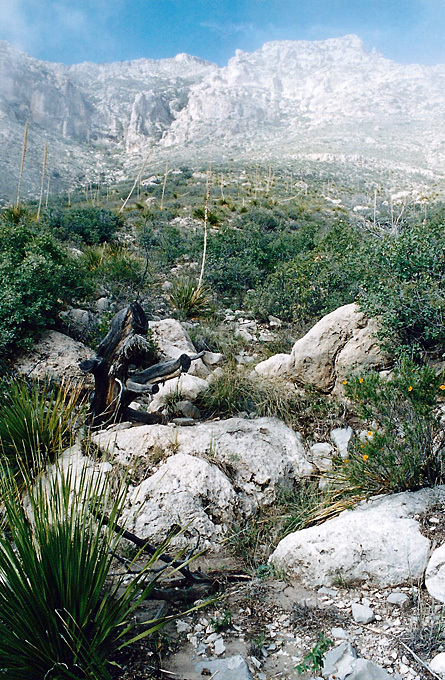 This is the Natural Entrance, a paved trail which drops 700 feet in 1.25 miles. You can take an elevator back up.